It's not too late to get started with a construction program management software to manage your construction projects. With an enterprise-level, best-of-class software like Projectmates, you get an easy-to-use collaborative system built upon modern security best practices. Additionally, you will be able to handle every aspect of the project lifecycle from design through closeout. This includes document & photo management, project management items such as submittals and RFIs with Q&A responses, scheduling multiple projects, tasks, and punch lists, the ability to view an executive dashboard, program reporting capabilities, as well as managing your project financials collaboratively with multiple budget & bid package creation, contract management, change orders, purchase orders, and invoice/pay application management. Having a SOC 2 report means the data is stored and processed securely and usually reserved for financial institutions for the level of encryption. A company with SOC 2 Type II audit report can offer comprehensive data security. If your company uses a partner for collection, processing, and retention of sensitive information, it is best practice to make sure the data is secure as well as asking other pertinent information for your specific capital project planning needs. SOC 2 Type II is paramount for owners dealing with capital construction projects that need to manage multiple moving parts. 2018 is finally here! That means new resolutions and goals, new ideas, and most importantly, new construction projects. As your company gets back into gear, do you know how your projects are going to turn out this year? What about how much it will cost per project or even how many projects you will be able to complete? If you answered no to any of these questions and you feel that your construction projects could be managed better, it may be time to consider getting a construction project management software to make things more efficient, and Projectmates does just that. One of the certainties in the construction industry is that the projects tend to be incredibly complex. However, that doesn't mean that managing complex projects has to be a difficult process. 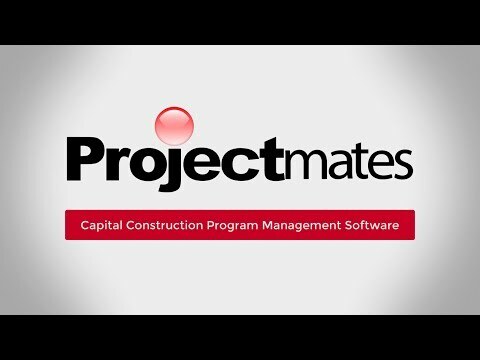 A dynamic software like Projectmates can provide organizations with numerous benefits and completely revolutionize the way projects are managed. A few of these benefits really stand out above the others and can have a profound impact on the amount of success a construction project experiences. 2018 is finally here! That means new resolutions and goals, new ideas, and most importantly, new construction projects. As your company gets back into gear, do you know how your projects are going to turn out this year?